Over a year ago, the web interface for Gmail was updated to change the way we compose messages. Now, when you choose to compose a message you get a popup window in the bottom right side of the screen as can be seen below. For some, this small pop-out window is not big enough for composing a message, so they can click on the expansion arrows on the top right of the box next to the close X. This will expand the window into a full screen view as seen below. The first time you do this, you will notice the help text window that appears on the top right. This help text explains how you can exit the full screen window, as well as explaining the steps to set full screen as your default. Just click on the drop down arrow on the bottom right to see the menu and choose Default to full-screen. If you ever want to change this, just deselect this option in the same menu. You can also pop-out the compose, whether small screen or full screen, into its own separate window by clicking the arrows on the top right while holding the shift key down. If you have keyboard shortcuts enabled you can also open the compose window in a completely new tab by pressing the D key when you are in the inbox. 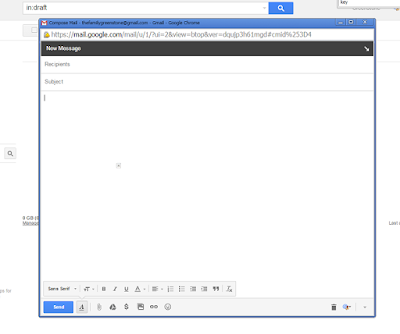 Can anyone tell me how to launch the small pop-out compose window directly from anywhere OUTSIDE the gmail inbox? Mark I am not following you. Do you want to launch a compose window in Inbox from a different tab? Thanks for your reply. I just noticed it while still searching for an answer. No. I would like to be able to launch a small pop-out compose window from anywhere in Windows, as I used to be able to do with Outlook Express. This is not Outlook express. They have different features and different developers. Thanks for your quick reply, but that doesn't answer my question. 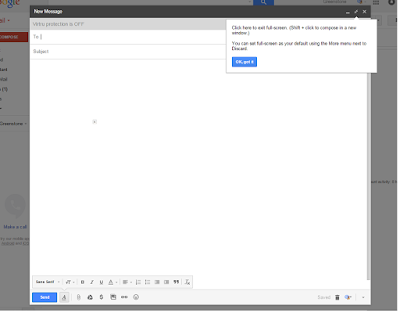 I do like most everything about Gmail except for that one feature I miss from OE. I thought there might be a shortcut to opening that small pop-out compose window. 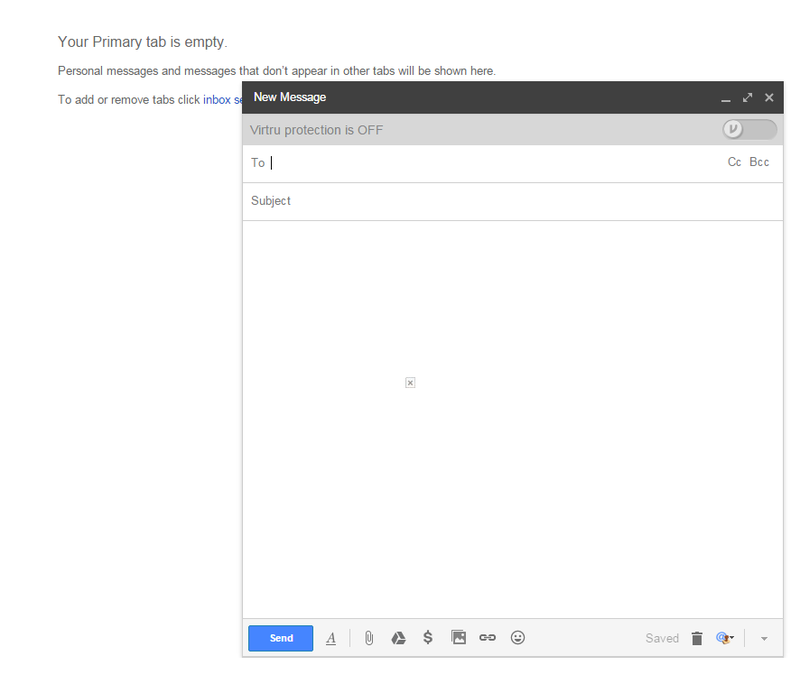 However, I have found that if I first open the compose window, then minimize it to the taskbar, it will be available from just one click; instead of opening Gmail inbox again first. Hey Mark - I was looking for the same thing and I found that if you use the MixMax Chrome extension in combination with their MixMax Live App (https://mixmax.com/download), you can compose a new email from anywhere in your OS by using the Cmd+Shift+M keyboard shortcut. How do I set up this as my default, for some reason its not showing up for me as the default option. 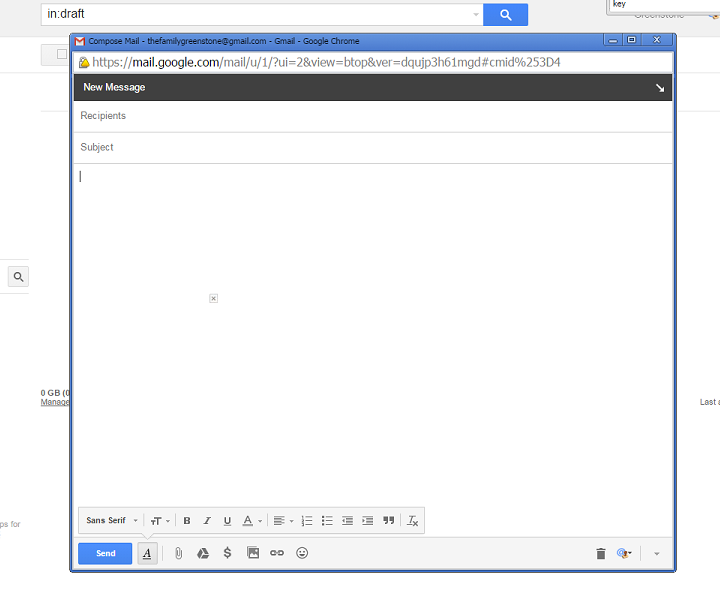 You dont see Default to Full screen in the drop down arrow on the bottom right of the compose window? My compose screen still isnt large enough even on full screen, it is limited. When I click the shift key and expansion arrows it launches a pop out that is large enogh, how do I make this defaly when I click the compose button , or do I need to always hold the shift key to get here? Seems like a bug that needs fixing.